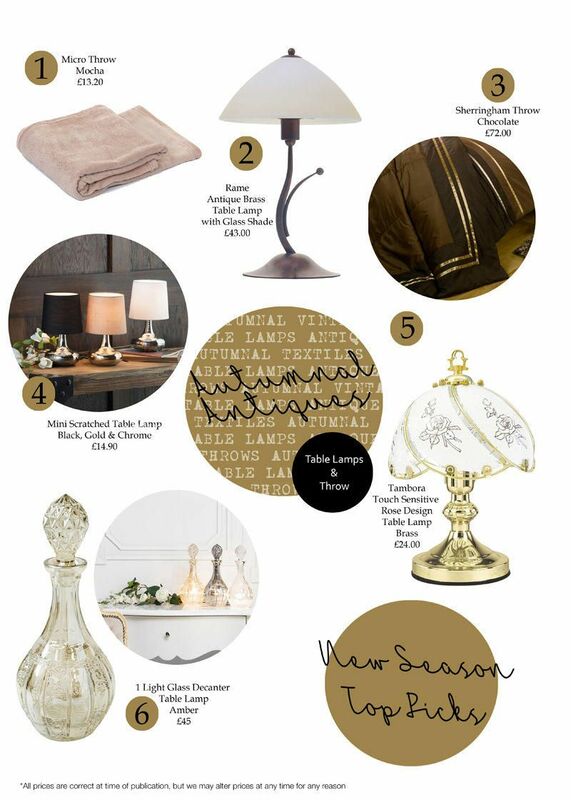 Create a cosy and warm interior this new season with our pick of Autumnal Antique Table Lamps and Throws. 1. There’s nothing better during the Autumn months than snuggling up on the sofa with a soft throw tightly wrapped around you. 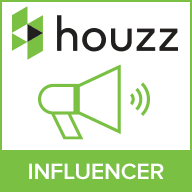 As the cold spell starts to creep in, adding more textiles to your interiors will give more contrast and layering as well as adding a warm and welcoming aura. Our Micro throw range offers a high quality soft micro finish that stays luxuriously soft even after washing. To coincide with our Autumnal trend we chose our Micro Throw in Mocha shade, this is a subtle tone that compliments the aged and antique lighting finishes. 2. Opaque and frosted glass is great for creating a diffused Autumnal ambience. When lit, opal glass gives a softer light, a less dazzling and more welcoming glow. 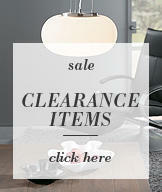 Team this with antiqued brass finished and your Autumn antique look is complete. 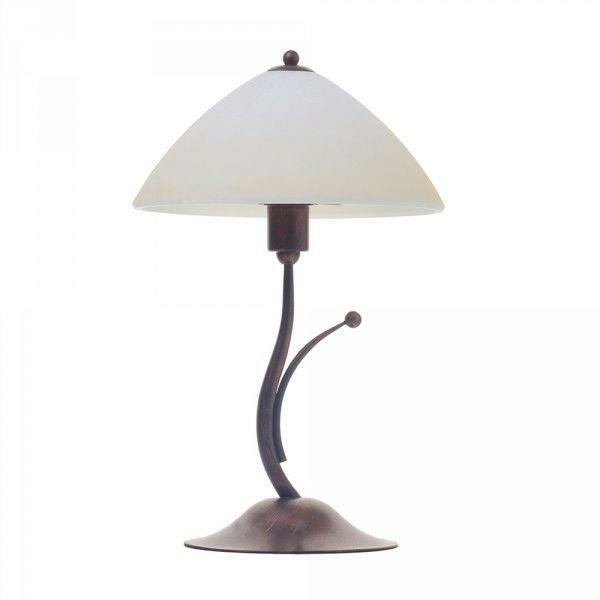 Our Rame Antique Brass Table Lamp with Glass Shade offers both these qualities, an opaque glass shade sits atop a rustic antique base with a feminine curve creating a sculptural design. 3. A quilted throw is the epitome of luxury but when finished in a deep chocolate tone the result is heavenly. Our Sherringham Throw in Chocolate features a deep chocolate finish trimmed with a dainty chocolate satin ribbon. Throw-over your bed or use as a large basket for late night movie marathons. 4. A simple light source can make a big impact to any area. 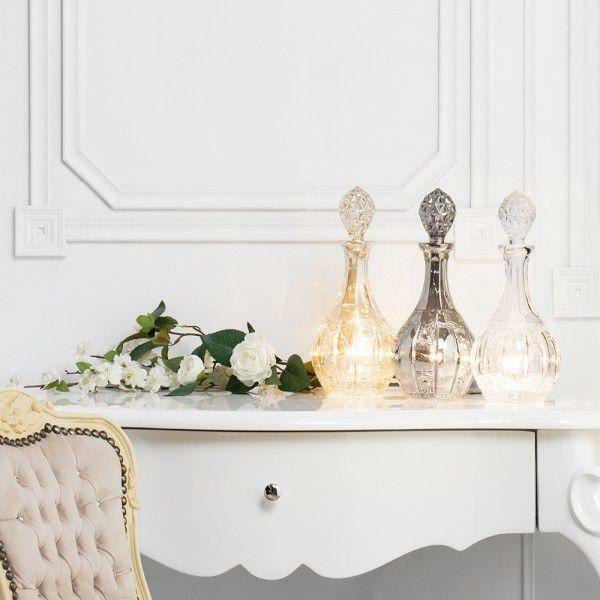 Placing table lamps on a side table in a hallway or reception together with ornaments will give an inviting touch. A table lamp sat snug on a coffee table in the corner of a room will give the illusion of more space by lighting up forgotten areas. The same impact can be achieved when placing a table lamp on a bedside table, whilst also creating a practical light source. 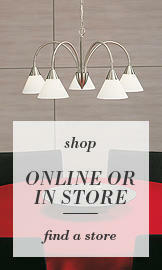 Our Mini Scratched Table Lamp Range is a little gem that produces a big illumination. Choose from three Autumn inspired shades, Black, Gold or Chrome. This range features a scratched metallic base with a simple fabric shade and at £15 this is a steal, ideal for a quick Autumn addition. 5. Antique designs are making a comeback, so if you have a flare for vintage or a taste for the traditional then our new Tambora Touch Sensitive Rose Design Table Lamp in Brass is a must for you. 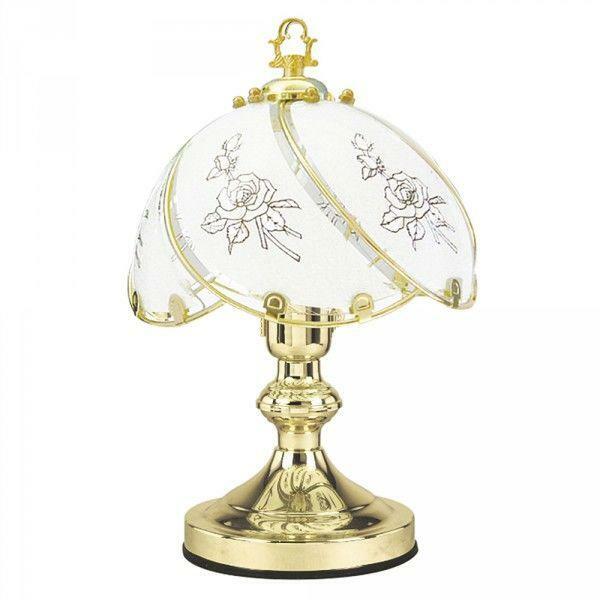 Replicating a more antique design, this table lamp features a frosted glass shade with a pretty rose pattern design. The frosted glass acts as a diffused thus creating a more subtle and moody glow. 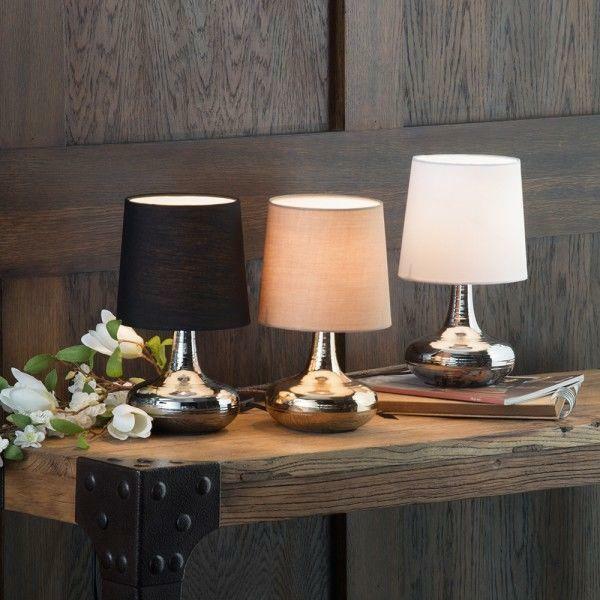 A polished brass finish adds a warm touch to the lamp. 6. We’re in love with everything that resembles a decanted or carafe these days and it seems our customers are too. Since our best selling Gatsby Cluster Pendant arrived two years ago it’s clear that a decanter inspired light is what our customers wanted. So this year we got the go ahead to design a range of Decanter Table Lamps . This exclusive range is available for a limited time only. Featuring intricate cut glass detail, a feminine antique design in three sultry Autumnal colours, this range is a must for a new season update.